I'm here with a question - my aunt was a fan way before I'd ever played a video game in my life, and today she gave me some old toys from that point. Hi everyone i just update for my sale post come check it out. There are lot of new stuff i just add up. Also, now that I have everything in order and shipped out, I have updated my sales post. I have lowered the prices on many items, and added the new Cobalion Set Kids to the post! Please take a look! I have some freebies on the page if you order certain items, so please have a look! Click the images below or anywhere else on this post to take a look! Also, a reminder on my 2005 Altaria Pokedoll up for auction! He ends March 13 at noon Central time. So 48 hours from when this post was made. Also, a high want for me. A Meganium UFO plush. I could have swore I had one..but I can't find him. So I'd be willing to purchase him if someone is willing to sell. And here's a link to my wants page. It's that time again! Giveaways! Please, READ THE RULES before you claim items. If you will not follow them, it will be your fault you didn't go after them and will miss the items you want! It should not take you more than 2 minutes. If you will comment incorrectly, that will show that you did not read them. If you will not read, you will not claim. As simple as it is. ★ Ground type TCG wanted! EDIT, EDIT, EDIT! Wow! So many offers! Thank you so much for being amazing and super-helpful you guys! In the spirit of trying to minimize repeats, I'm afraid I'm not going to be able to buy cards in Lots, but what I will do is post up a more detailed list of what cards I have left that I need plus specific names too. In the meantime, while I'm making up the list, I'm also going to have to ask that pictures be included or at least be very specific (put down the number of the card like 29/100) so I can tell them apart and not buy repeats. All I have to rely on is memory. It may be best to wait to post your cards for sale until after this message is struck out. Okay! New list is up. Please use that one from now on as a reference for what cards I still need. I'm no longer buying anything else that's not on that new list. I know there are many of you here selling TCG. 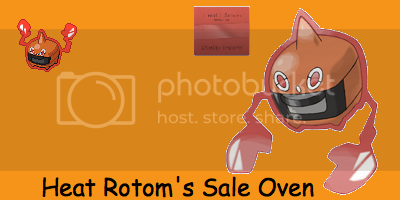 It would be great if you could sell me your ground-type pokemon cards! But to save on shipping, I'd like to ask you only to sell to me if you have 5+ (preferably more) cards. I don't really want to buy one at a time, unless it's something rare. And I'm not after every card of a single pokemon, just one of each. TLDR; if it's a card, and if it's got a ground-type pokemon on it, SELL IT TO ME. Just respond to this post with what you've got (photos are nice) and/or a link to your sales. And for your convenience, here is a list of them, since it's easy to forget if a pokemon is a ground-type or not (like Camerupt). * Here is an updated list of either cards I want, cards I’m still missing, or cards I still need. Please use this one from now on! You now need to specify the number (like 29/100) of the card IF it says “(show me)” behind the Pokemon name. Otherwise, just let me know if you have them or not. And are there any ground-type collectors out there would like to share their collection with me (for inspiration)? ★ One final thing. IF you have kids of ground-type pokemon, and IF you have more than 10 of them, I might be willing to buy them from you. The reason I don't want to buy a few at a time is because shipping adds up... This is the only way I will buy them at the moment! HELLO PRETTY BABIES. I'm sorry I haven't been super active around here she says for the millionth time, who knew the last year of high school could be so busy BUT ANYWAY. My birthday's just around the corner, and I would feel like a failure of a human being if I didn't get some Pokemon presents. SO I WAS HOPING YOU GUYS COULD HELP ME OUT. The main things I'm looking for are terrycloth beanie plush. Kutakuta plush, those little beanie ones with the buttons on them? You know? What, you want pictures? FINE. I haven't seen him go for much (about $25-$30 shipped), so that's round about as much as I'd pay for him. 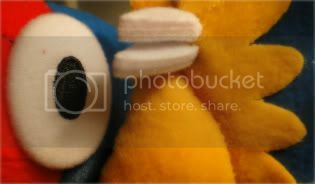 Though obviously if I'm able to get some terry cloth plush, I may not have enough left for durp burd. IDK WE'LL SEE, YEAH? Thanks you guys. ;u; I'll do a real update when I get some new pretty stuff in. <3 YOU KNOW. Jolteon is mint with tags and has been displayed on a shelf since the day I got him. He comes from a pet friendly home, so please keep that in mind. I'm looking to do a quick sale on this and I'll have him shipped out asap. I ship from NY, USA. I accept paypal only. Hey everyone! I'm looking for a few items to complete my Team Rocket Grunt cosplay. POKÉBALLS! I need 3 to 4 regular Pokeballs of the same size. Yes, they have to be all exactly the same size and color! Consistency is key here! 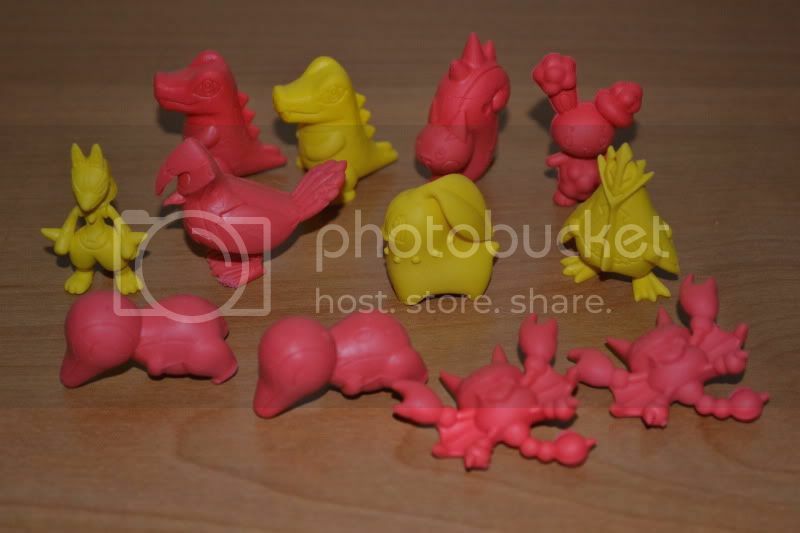 I already have 1 of the Korean "easter egg style" balls that had these types of pink and yellow erasers in them, so if you have 3 of those that would work! If you have 4 of the same Pokeballs of the same type for sale let me know! I won't consider any type of ball that has feet on it though. They have to be able to hang off of a belt, so they can't be too heavy either! Also, I'm looking for a cool Pokemon Lanyard for my convention badge. Anything red or black would be perfect, but show me whatever you have! If there is anything else a Team Rocket Grunt would wear that you can think of let me know, especially if you have something for sale! I'm getting that hankering ... that hankering to collect stuff! And I'm trying to avoid buying from Y!J right now, so I thought I'd poll the community instead. :) Maybe you've got some stuff you're wanting to sell, and maybe it's something I want to buy! Also, I've got a list of charms available for trade if you'd rather trade than sell. Unrelated, but Kassia9 and I are working out the GA Shipping issue and will update the post when we've come to an agreeable solution. If you've already sent in your payment, don't worry. We'll get it all worked out! Thanks for your patience. Hey there, community! <3 So I'm here today just with a few wants. A new shipment came in with a few more pokemon goods!!!! So I gotta sell of some things that I have put away and don't really display or want. Everything must go because I am in need of trying to get my license and need to pay for the classes. What Is This Creepy Bulbasaur Plush? I was browsing Ebay, and found this scary looking Bulbasur plush. WHO KNOW WHERE I CAN FIND THIS AMAAAAZIIIING DECKBOX ? Sales update, reduced prices and a raffle! Hey guys! This month I've noticed that I got quite a few things coming up all at once, (convention, wedding, medical needs, taxes, tailoring needs, other wedding, etc.) these things under usual circumstances I'd be able to easily handle on my own, but there's just too much going on this time at once. D: But this is just good news for you guys! Means that I've added new stuff and reduced prices a bit on my sales post! But the more fun part about this is that I've decided to start a bit of a raffle! Click under the cut for more info! Hey guys longish time no post. So Im looking for rare pokemon cards.when i say rare i mean like the set rare not like base charizard rare lol. Anyway I'm looking for rares. I'd love links to sales with them, I'm not to interested in trades and they can be old or new Id just like to see some cards :) any link would be appreciated. thanks for reading and the help. 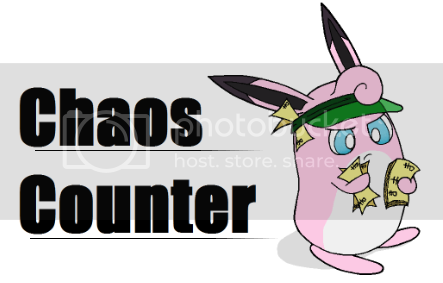 Last week I was SURFing the net searching for some pokemon figures and I found THIS !! please if any one have this figure please post a pic and some info. Second I want to ask if there any DX tomy figure for Torrterra ? what is the biggest Torrterra figure anyway ? also the biggest figure for Ho-oh ? I want a ho-oh figure that fit with a 10inh+ lugia figure and a 3inch Ash figure. Hey, pokepeeps! I'm headed to Osaka next weekend to be that creepy fan go see my favorite band play, so I'm doing some Osaka PC pickups to try to make up for some of the cost of running around the country for the weekend. :O Will be picking up Osaka goods and some new/recent releases, so check it out if you're interested! A rare movie item up for Auction, TCG, a Book, and more! Also, for those waiting on clay figures, im sorry i havnt gotten them done yet, lack of motivation cause of irl troubles :/ But im trying to get them done as fast as i can! Hello everybody! I feel like it's been ages since I've had time to post a collection update, and I've added quite a few new members to my pokemon collection. We've also added two more Ikea cabinets to display them better. The first new addition is my sleeping Pikachu...he looks so peaceful napping up there, lol.